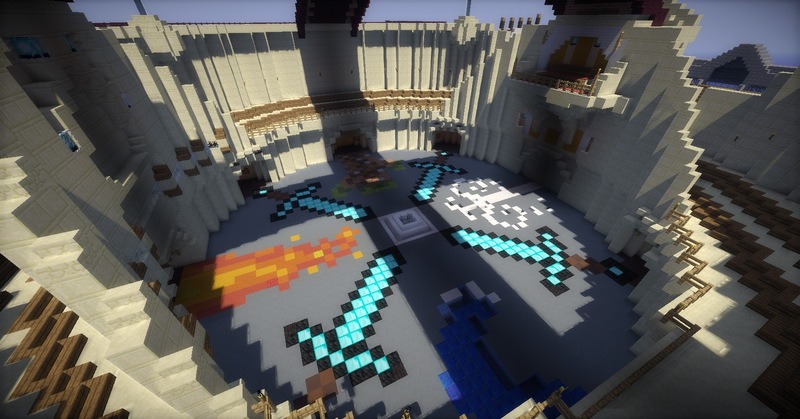 PvP is a simple minigame that allows players to fight their friends in intense battles. The game currently has two game modes: Deathmatch, and One in the Quiver. Every player starts with the same gear once they spawn in. Kill a player to increase your score. Dead players don’t drop any loot. Getting hit with an arrow results in a one-hit-kill. Killing another player grants you an arrow.